Bring your brand to life in more places. Invest in a lifetime of versatility with a custom modular trade show booth that can adapt and change with your market challenges. 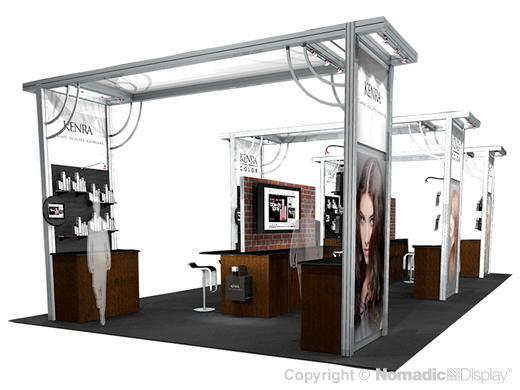 Nomadic led an evolution in modular exhibits. Distinctive and practical, we engineer our product lines to strategically integrate with one another and offer the most functional accessories such as integrated display counters, free-standing A/V workstations, brochure holders, and shelving for displaying products. 8 - RollMax Case - 60.50" x 34" x 56"